Dual Laser Line Mirrors are made of high quality BK7 or UVF. The mirrors are designed for 45° or 0° deg angle of incidence. Dual Laser Line Mirrors are made of high quality BK7 or UV Fused Silica. The mirrors are designed for 45° or 0° angle of incidence. 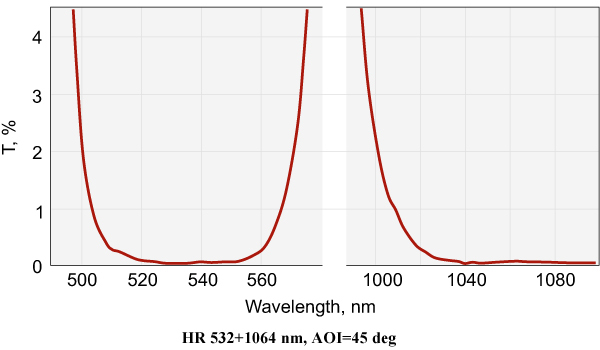 Featuring high polishing quality, low scattering and high damage threshold enables dielectric reflectors to have perfect beam steering for Nd:YAG lasers.